Whether you call her Mom, Mum or Mother it’s always nice to show her you care. 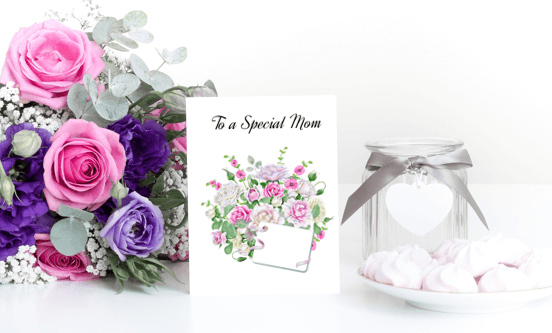 It doesn’t have to be a big gesture, a simple card with some kind words is sure to bring a smile to any mother’s face. 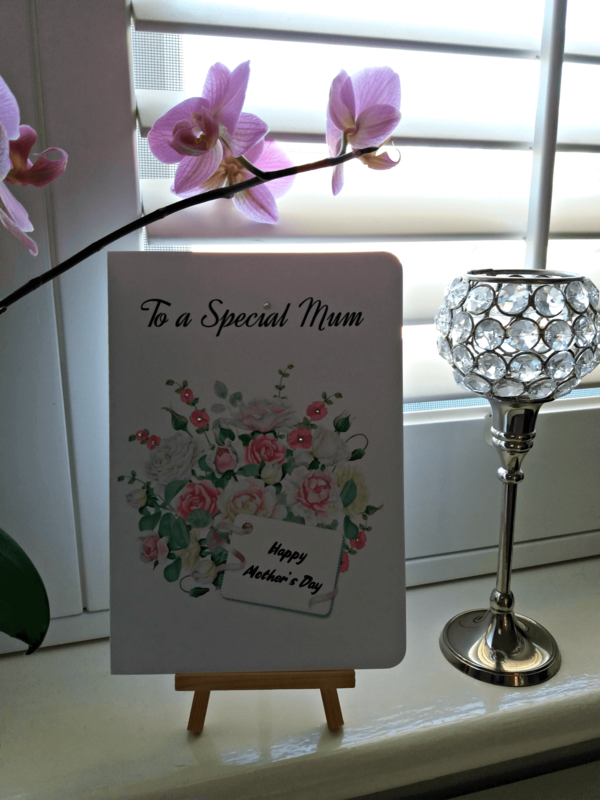 I made this card for Mother’s Day last year for my mum and as it’s Mother’s Day on May 13 in the US and many other countries it seemed like the ideal time to share with you. I also added a little message on the bouquet’s card. The card is available in three sizes. (A7) 5″ x 7″. This card can be printed on either A4 or Letter size paper and will need to be cut down to size (full instructions are on the download). (A9) 5.5″ x 8.5″. Print on Letter size paper and fold. (A5) 5.83″ x 8.27″. Print on A4 size paper and fold. Scroll down and click the relevant link below to download a perfect card for mothers. Please remember the printables on this site are for personal use only and not for commercial resale. If you are interested in more free printables, follow my “Printable Art” board on Pinterest to be kept up to date on the latest prints from around the internet. If you like this freebie, I’d love it if you would show your appreciation by sharing this post using one of the links below.